This is a Lindy Hop competition where Spiderman is dancing to Michael Buble’s version of the Spiderman theme. There was just to much awesome there not to share! There is some big Avengers news!!! The big bad has been announced. It is going to Ultron! And he is going to be played by the infamous James Spader. I am so excited!!! I think Spader is perfect for the roll! It has been proven in his cold and calculating roll in Boston Legal and the Practice, not to mention the previews in the Blacklist. He does that odd, cold and calculating thing really and I think that is going to pair with Joss Whedon’s Avengers fabulously!! Joss Whedon did an interview with Entertainment Weekly on how his Ultron will differ from the comic book version. A big thing I see is that Whedon is going to do what he does best and humanize Ultron by exploring his pain. This could be awesome! I can’t wait!!! How about you? Do you think Spader is great casting or a flop? New Thor: The Dark World Trailer is Out!!! 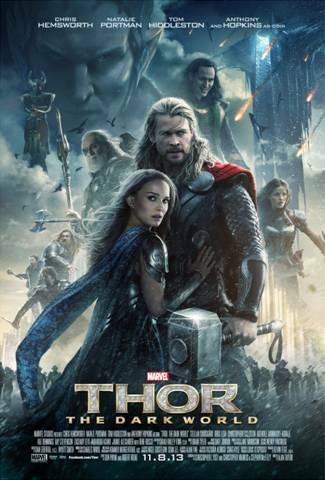 There is a new Thor: The Dark World trailer out and I think it looks good. I really haven’t figured out much of the plot yet but I am very intrigued. It looks beautiful and I am sure it is going to be fabulous!!! For anyone who hasn’t heard, I loved Cabin in the Woods. I am not a big horror movie person but I found Cabin in the Woods so much more. It followed in the fabulous Whedon tradition of witty writing and twisty plots. All that said it is still a horror movie;). 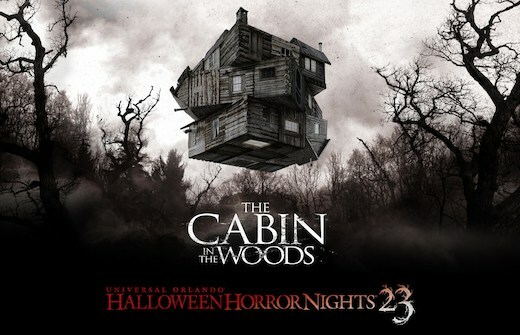 So for all of you who loved it for the horror movie aspect you might be excited to know that you can visit the Cabin in the Woods this Halloween at Universal in Orlando. It looks like the co-writer Drew Goddard is doing a maze and another story that runs along the original story (since we knew about various scenarios that were going at once). You can even buy tickets now to make sure you get in! So what do you think about this? Are you going to check it out (or would you if it was closer to you)? 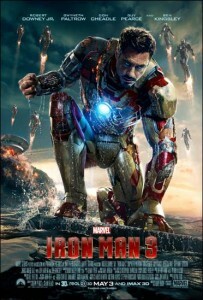 Since the release of Iron Man 3, we have all been waiting with bated breath to see who was going to be returning for Avengers 2 (and other future Marvel movies). We now know that Robert Downey Jr. will be back! He has signed up not only for Joss Whedon’s Avengers 2 but also Avengers 3!!! And this isn’t rumor but actually from Marvel! I had heard that Robert Downey Jr. wouldn’t be returning unless all the other stars received more money. I am under the assumption that he held strong to this demand so I am interested to see if this means more of the original will be in Avengers 2! I also wasn’t aware that Avengers 3 was firmly happening so yay!!! In other Robert Downey Jr. news: It appears that he has a $12 million marketing deal with HTC. I have say, I would watch that commercial! There is a new Star Trek: Into Darkness trailer!!! My complaint: Not enough Benedict Cumberbatch or his voice. NerdDad’s complaint: It looks like we aren’t leaving orbit or not leaving orbit enough! More thoughts later but I am off to the kids’ play rehearsal right now;). I am not a big James Franco fan but I am looking forward to Oz the Great and Powerful. On the other hand I am a huge Stephen Colbert fan and that was before I knew he is a big old Tolkien geek. This was a great Franco interview on so many fronts….